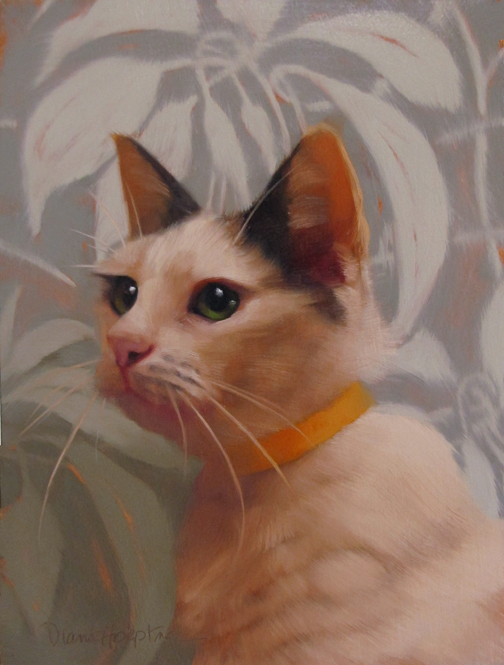 Your paintings of cats almost make me want one and I am a dog lover. A perfect pairing of cat to background. And Glenda's eyes are so exquisite! You are absolutely the best at painting animals! Your textures and values are spot on and I love the backgrounds—color and patterns. Your work is very striking. Lorraine said it all!!! Glenda is beautiful! What a sweet cat! Where did you find this one?